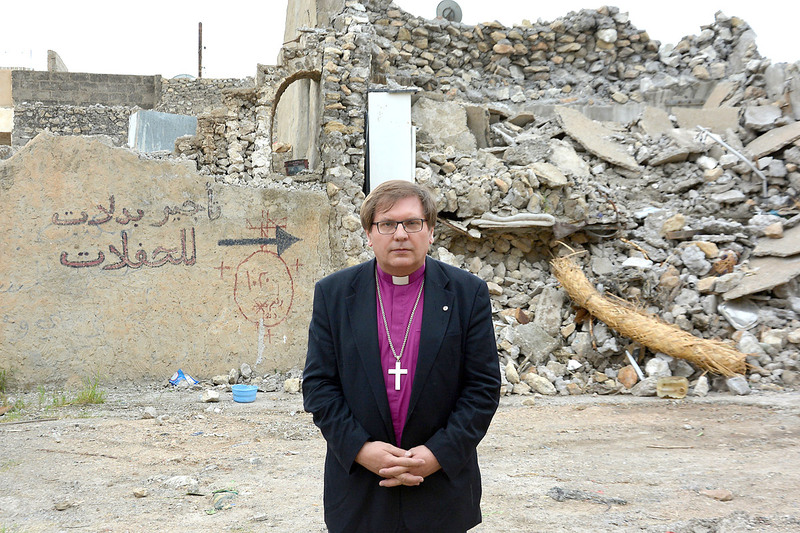 “We must not abandon the persecuted Christians of Iraq and other countries,” says Hungarian Bishop Dr Tamas Fabiny, reflecting on a recent visit to a displaced people’s camp in Northern Iraq. 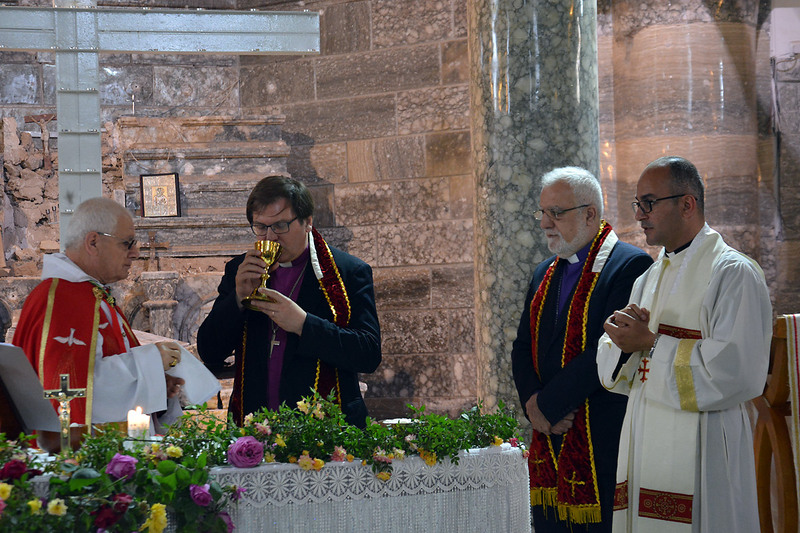 HIA, which comprises the Protestant and Orthodox Churches in Hungary including the ELCH, has been working with local partners in the city of Ankawa (Erbil) since 2016. 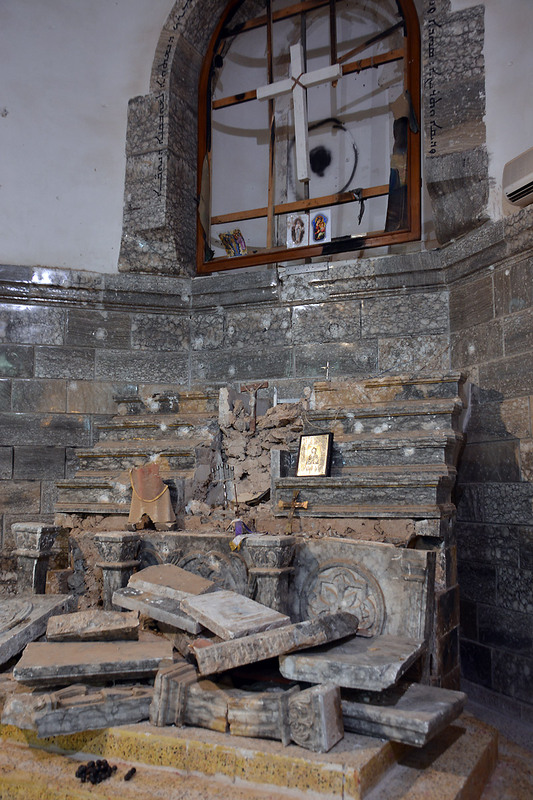 A member of the ACT Alliance, HIA supports internally displaced people and refugees in Iraqi Kurdistan and around 300 Iraqi Christians who fled Mosul when the city was besieged by the extremist group ISIS in 2014. 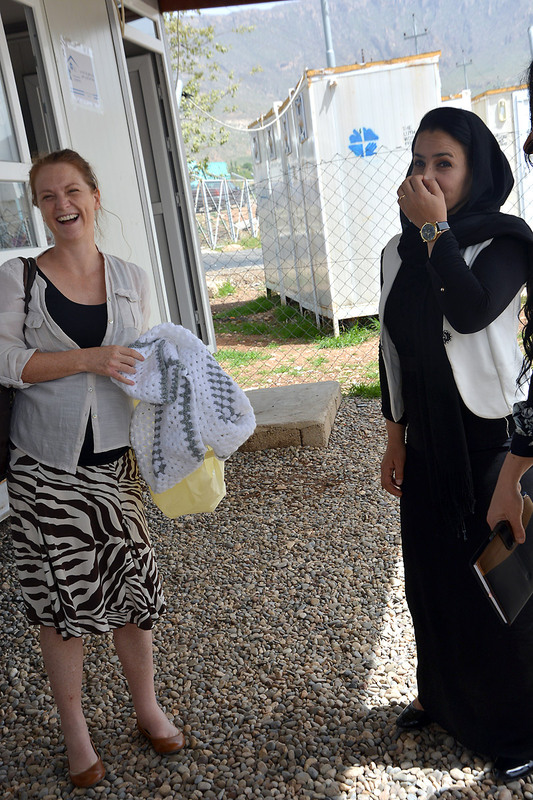 The HIA delegation also visited Davudiya refugee camp near the city of Dohuk. 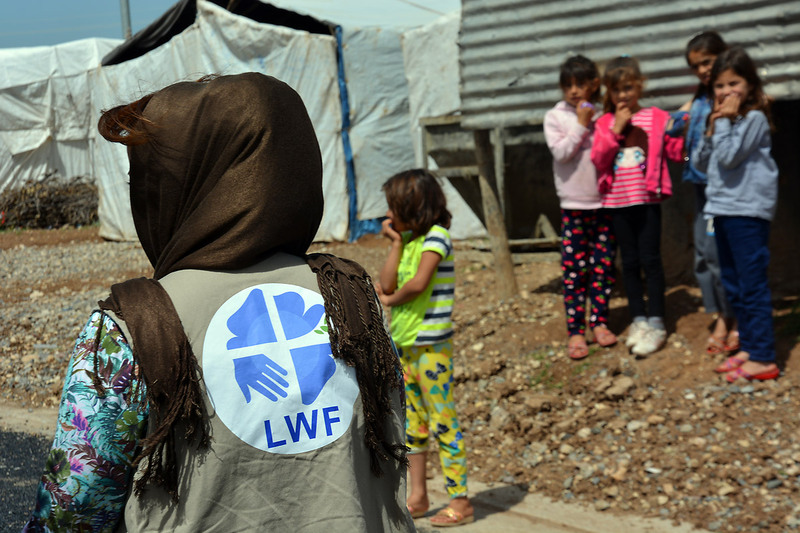 The Lutheran World Federation (LWF) works at the camp, providing support to more than 700 displaced Christian, Yazidi and Muslim families. Photos by ELCH Northern Diocese and HIA. 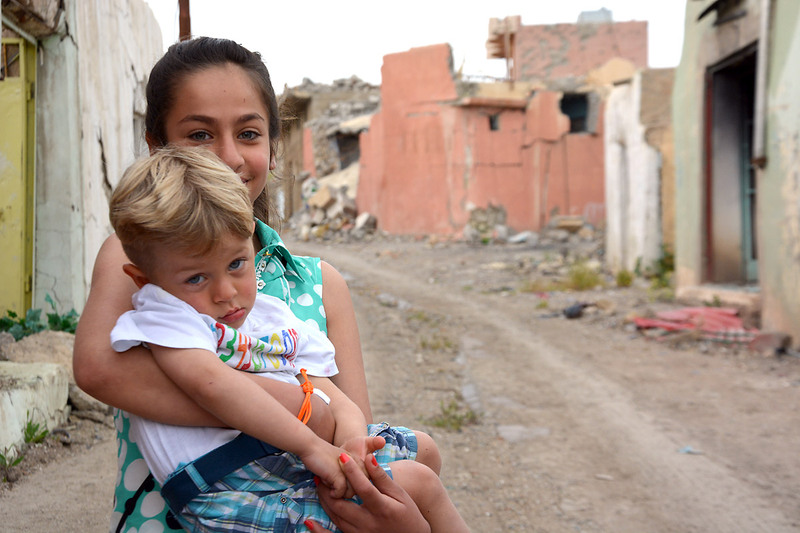 Members of the Hungarian Interchurch Aid delegation and LWF staff visited Davudiya refugee camp near Dohuk, where more than 700 Christian, Yazidi and Muslim families live. The LWF works with local partners in the camp, where it is responsible for water and sanitation projects providing a water purification system and hygiene kits. 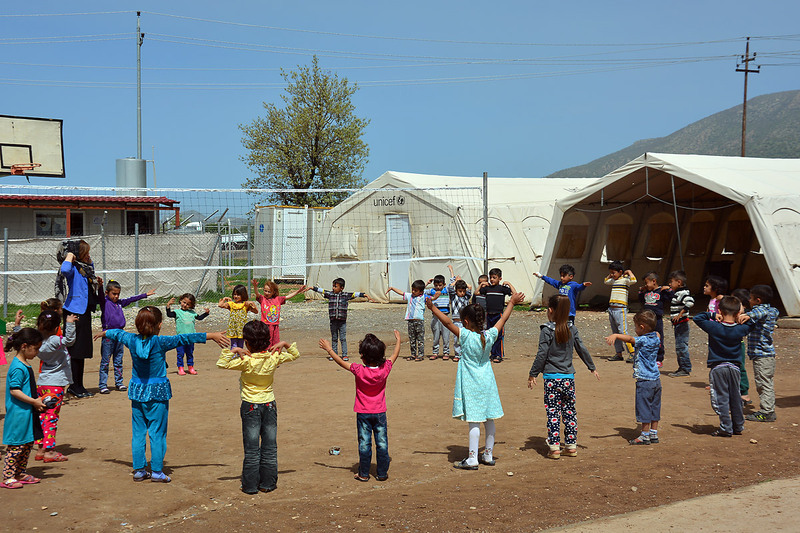 The LWF has established a Women Friendly Space within the camp, where women and children receive psychosocial counseling through discussions, games and drawings. 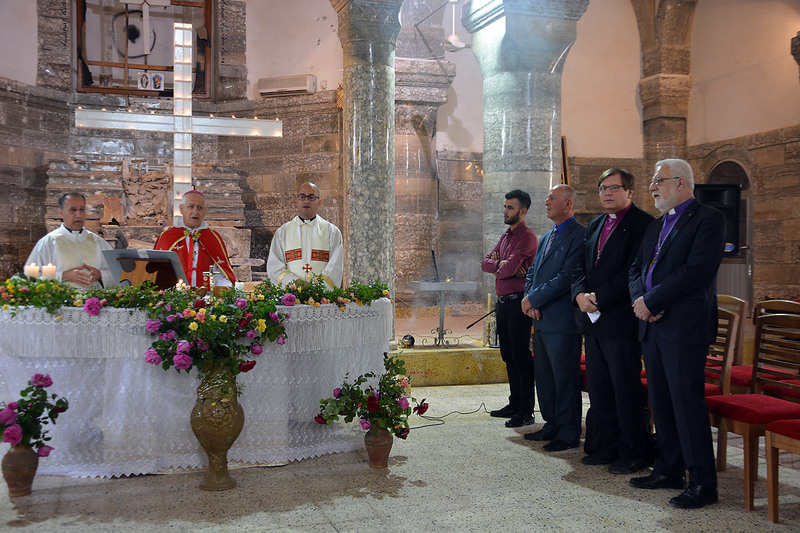 The Hungarian church delegation participated in Sunday worship at the Chaldean Church in Batnaya, a village recently liberated from the ISIS group. 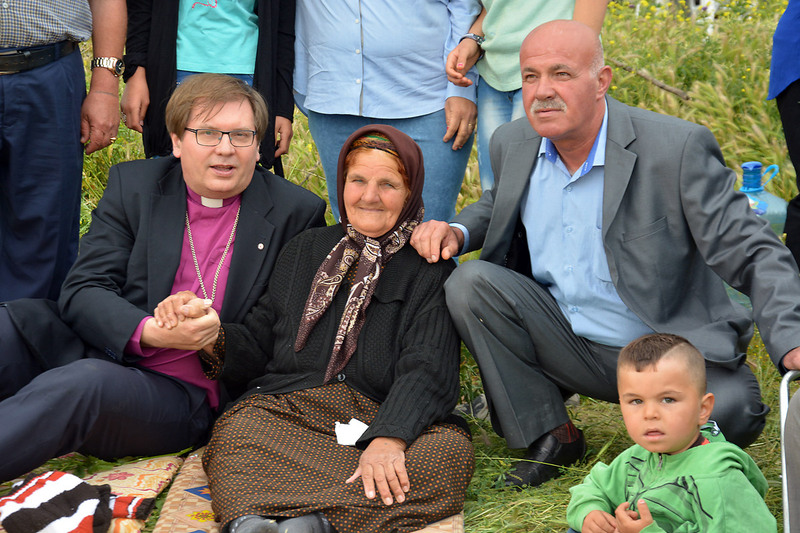 Bishop Dr Tamás Fabiny, Evangelical Lutheran Church in Hungary, preached from Matthew 10:34-42, and Matthew 19: 27, and reflected on taking up the cross of Christ and leaving everything behind, an experience endured by many families. 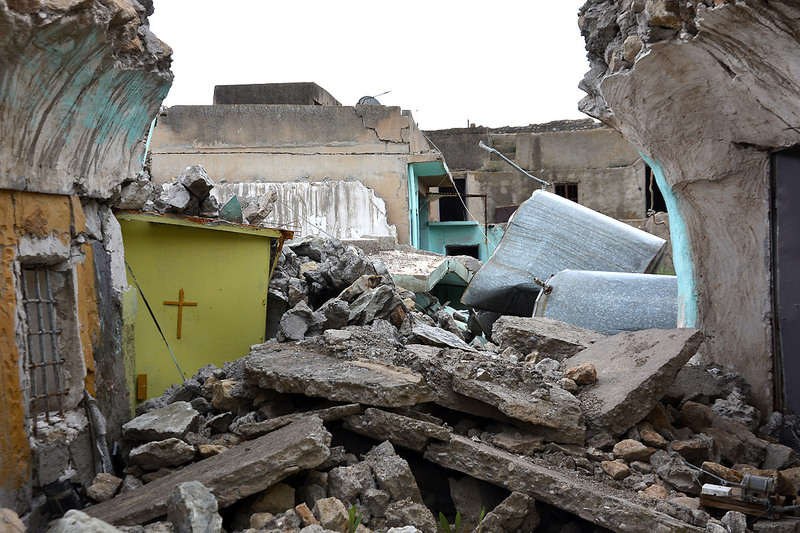 After the church service, family members go to see the ruins of their destroyed homes. It is not possible to enter, as mine clearance is still going on. 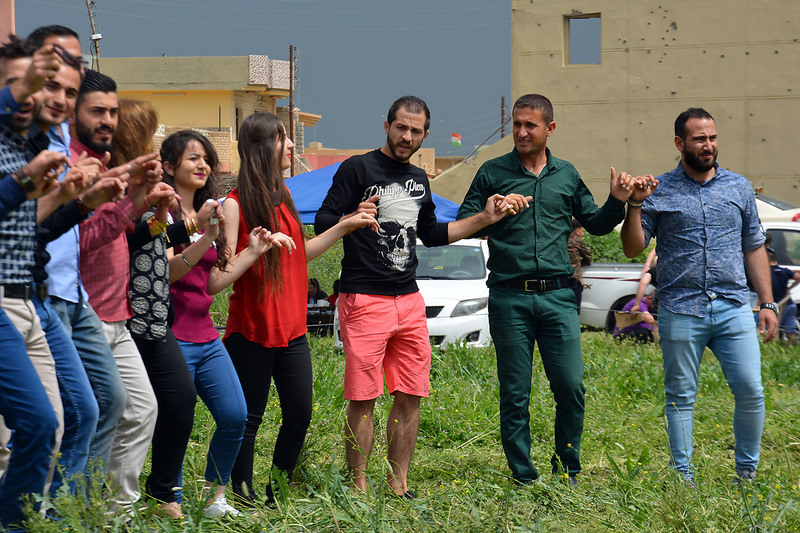 After Sunday worship, young people dance beside the village ruins, and others join in.